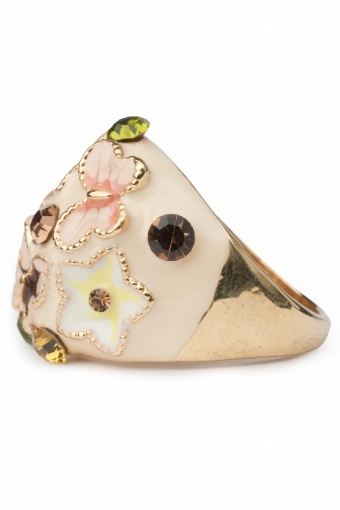 Extraordinary Summer Daydream ring. 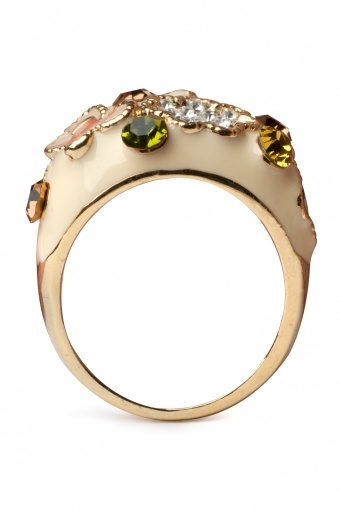 This elegant ring is stunning! 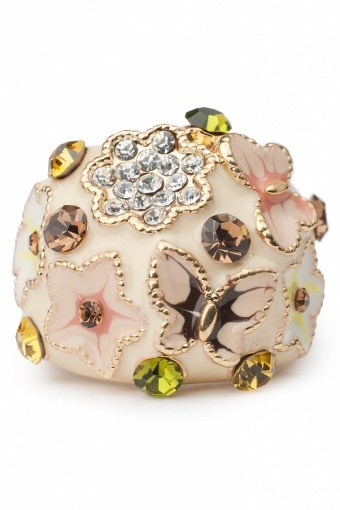 Enamelled in a stylish creme tone, the flowers and butterflies in matching pastel tones. 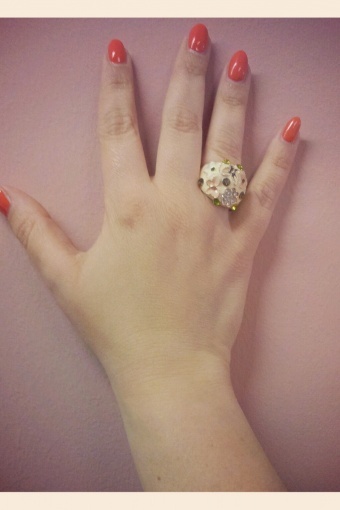 Richly decorated with rhinestones in various colours for that extra finishing touch! Also available as Winters version!